I have served as a Governor for Hungerford Nursery School Centre for Children and Families since 2012. I have lived in Hungerford since 1988 and my two children were educated within the town. In addition to my Governor duties I am a volunteer driver for CHAIN and, with my husband, organise parcels for the Over 80s in Hungerford. I have extensive Early Years knowledge and experience. I have worked as an Early Years practitioner, a Day Care Adviser for West Berkshire Council and subsequently as an Ofsted Early Years Inspector. Prior to my retirement in 2012 my final role within Ofsted was as an Early Years Quality Assurance Team Manager. I also have a First Class BA (Honours) degree in Childhood and Youth Studies. I have lived in Hungerford for 35 years. My daughters attended Hungerford Nursery where they grew in confidence and developed a love of learning which has taken them all the way to university and beyond. I went back to college while they were at primary school so I understand how challenging it can be to return to education when you have young children. I qualified as a teacher and worked in adult education for 20 years, and I have recently attained a doctorate in education. I am delighted to be involved with the nursery again and look forward to working with everyone at the Family Centre. I have lived in Hungerford since 2011, and started as a Governor in March 2016. 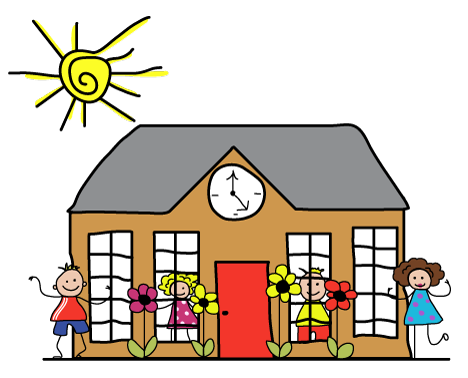 I have two boys, the eldest attended the pre-nursery and nursery and starts school in September 2017. He has (and we have!) loved everything about the Nursery and the people who work there. The youngest will start at the pre-nursery in 2018. I have used the Family Centre with both my boys and think it’s invaluable to families, in particular new mums. I am the Health and Safety Governor, and Chair of the HR and Sites Committee. I have worked in HR at West Berkshire Council since 2008, and have an MA in Human Resource Management. I am a co-opted governor for communications and marketing. I have worked with a number of charities in communication, marketing and administration. I believe that effective communication that supports the core work of an organisation can release potential in an organisation and with its beneficiaries. I have a special interest in mental health and addictions related work. Since becoming a mother in 2014 I have also become very interested in early years and the family environment and see the work of the Nursery and Family Centre as crucial in supporting families (like mine) to be the best they can be. I am passionate about early years care as the foundation for children’s emotional, physical and academic confidence. I joined as a governor in 2018 as I was so impressed by the resources that the nursery offer, the opportunities they present for children and the education available for parents. I bring with me skills in public health nutrition and health/wellbeing and I hope to foster these skills to build upon the great work that is already being done at the nursery. I became a governor in 2018. My daughter attends the nursery. Having seen first-hand the passion, support and quality of teaching from the staff in a happy environment, I knew I had to be part of the Centre! Family is my biggest priority and I feel that this ethic can be clearly seen throughout the nursery. My previous work role, before becoming a mum, involved administration responsibilities so I bring that along to my role as a governor together with organisation and creativity skills. I am also a member of the Shoal of Friends (Nursery School PTA), which involves organising fund-raising events for the Nursery School. I became a Parent Governor in 2018 after having seen the huge benefits my own children have experienced at Hungerford Nursery School and how well supported all the children are in their development and wellbeing. I am currently a full time dad with my previous experience being in digital design, development and advertising and have a BSc Honours in Product Design. In my spare time I enjoy our family days out and heading out on my bike.